360 Realty is committed to helping people buy homes. All leads are free and exclusive. Our requirements are an active real estate license, car, cell phone and computer to work from your own home. We are seeking motivated, energetic, self-starters who love to sell real estate. 360 Realty is a California real estate organization of Buyers Agents and Brokers. Our network of real estate professionals have been using their expertise and the power of the Internet to provide our customers with a unique and simple way of purchasing real estate. 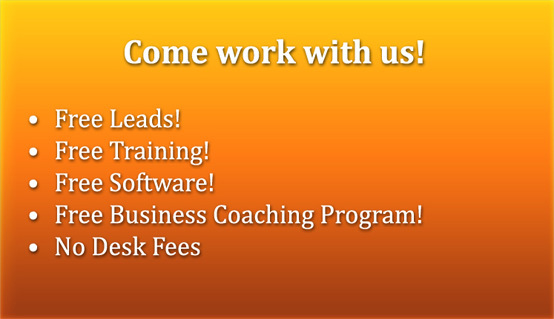 To contact us, email your resume to rmorad@360realty.com.